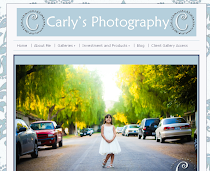 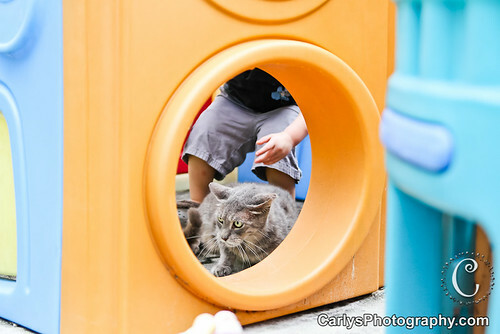 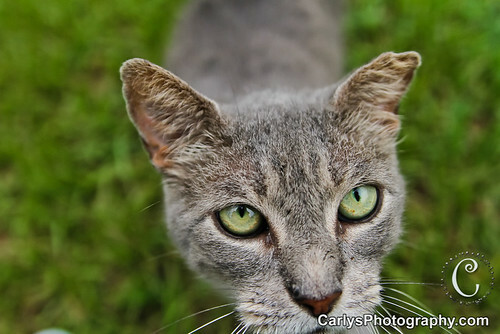 My Life Through My Lens: No cats were harmed in the making of this blog! 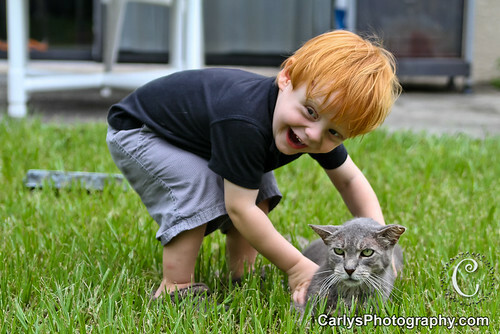 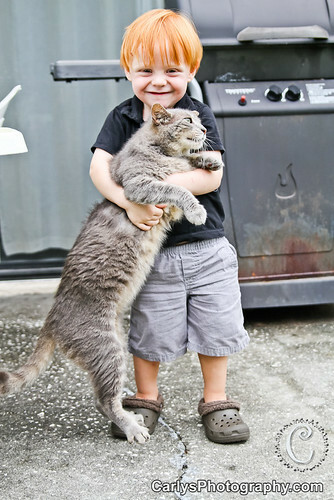 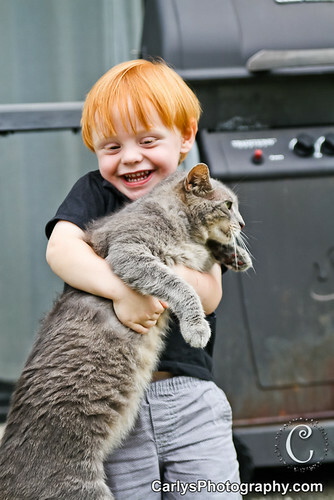 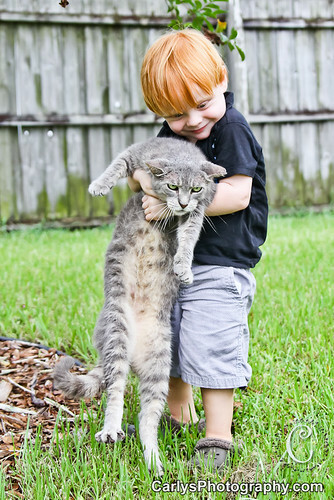 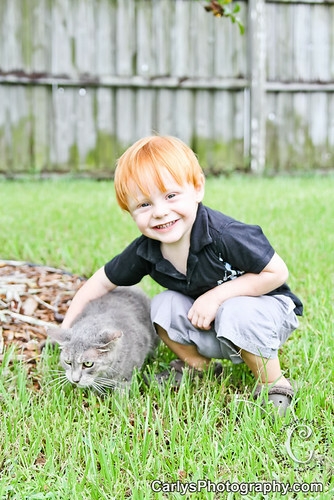 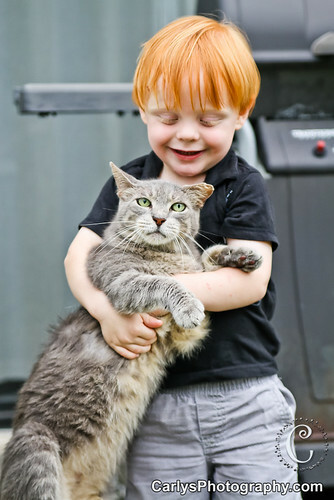 There once was a boy named Kyton who loved the neighborhood cat. 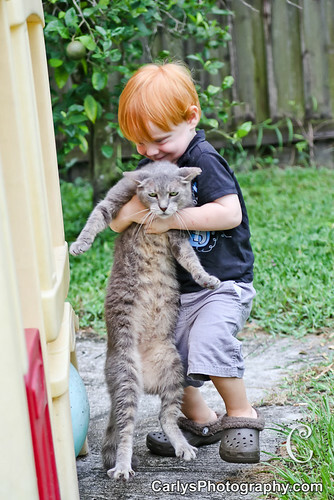 No, you don’t understand. 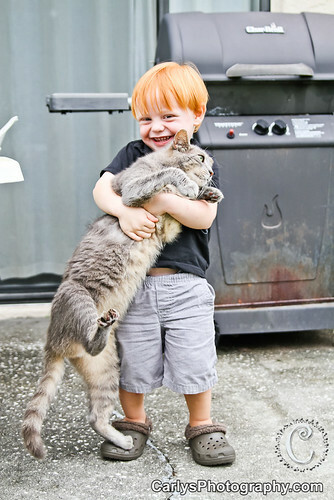 He REALLY LOVED the cat. 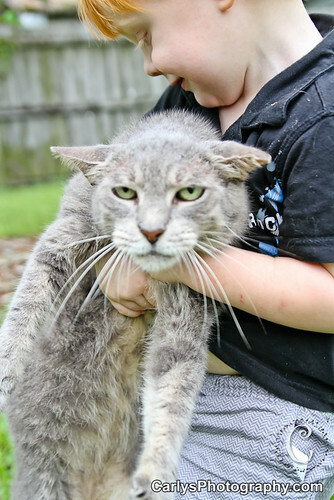 Fortunately for Kyton the cat was a super patient cat. 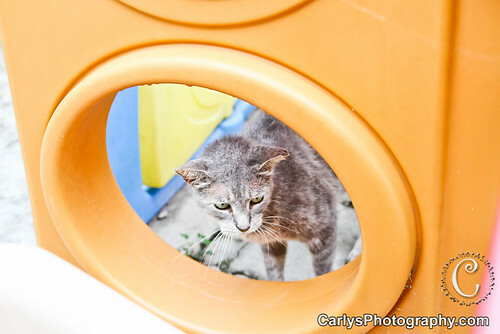 He had all of his claws and a lot of street smarts. 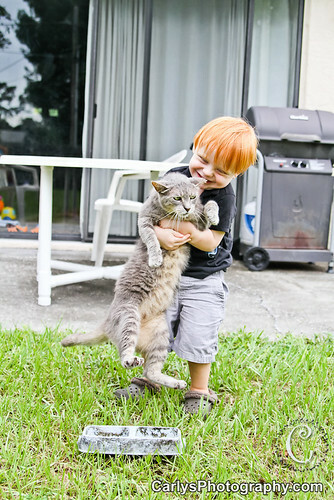 Undoubtedly he could escape Kyton’s grasp in a second if he wanted to. 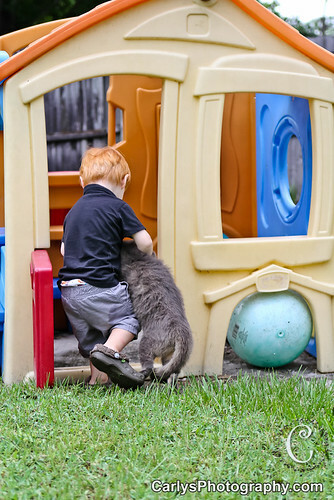 Kyton knew that being the neighborhood cat must be exhausting and helped the kitty by carrying his upper torso around the yard. 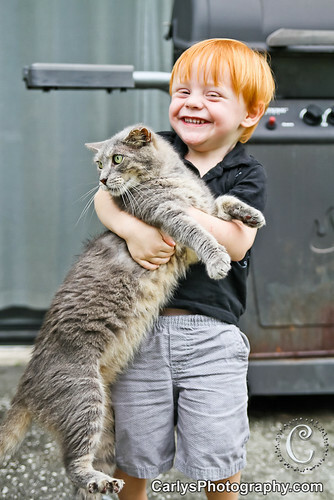 While the cat does make some humorous expressions sharing his feelings about his pint sized friend, he is always patient. 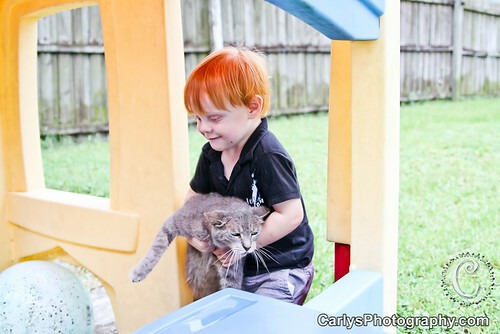 Kyton even invited the cat into his home for a visit. 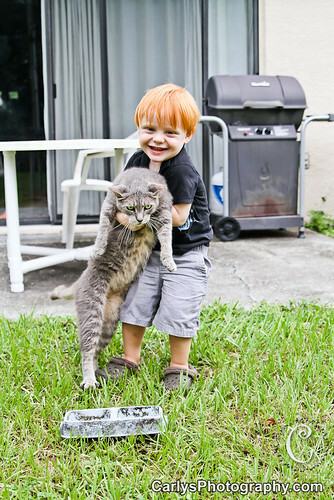 The cat was a gracious guest and stayed for a bit before excusing himself to go catch mice. 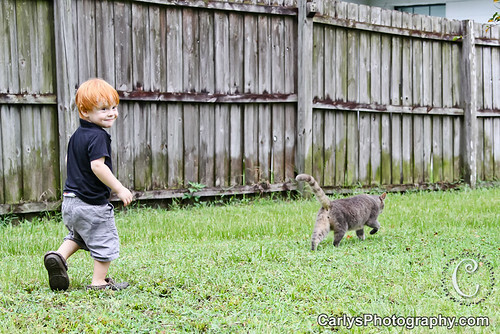 After playing with Kyton for about 10 minutes the cat makes his way on to his regular visits with other neighbors.